Hanami which literally means “flower viewing” is a Japanese custom of picnicking under a blooming cherry (sakura) or plum (ume) tree. It has become an important Japanese tradition and is held all over Japan during the beginning of the Spring season. Said to have originated in the late 8th century during the Nara Period, when this seasonal event was used to welcome the new year’s harvest marking the beginning of the rice planting season. During the Heian Period, Emperor Saga together with the Japanese royalties would welcome this time with a celebration under the sakura trees in Kyoto’s Imperial Court. The practice spread to all citizens by the Edo Period in the early 1600s. The custom still lives to this day and no doubt one of the more remarkable natural events in the country. 1 When do cherry trees bloom? 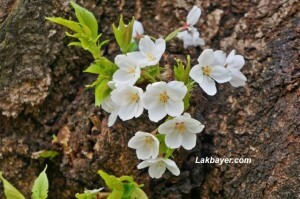 2 How long do cherry blooms last? 3 What are the different varieties of cherry trees? 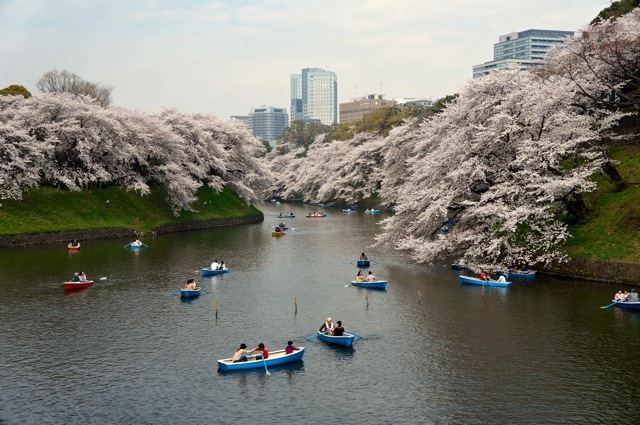 4 Where are Tokyo’s popular cherry blossom spots? 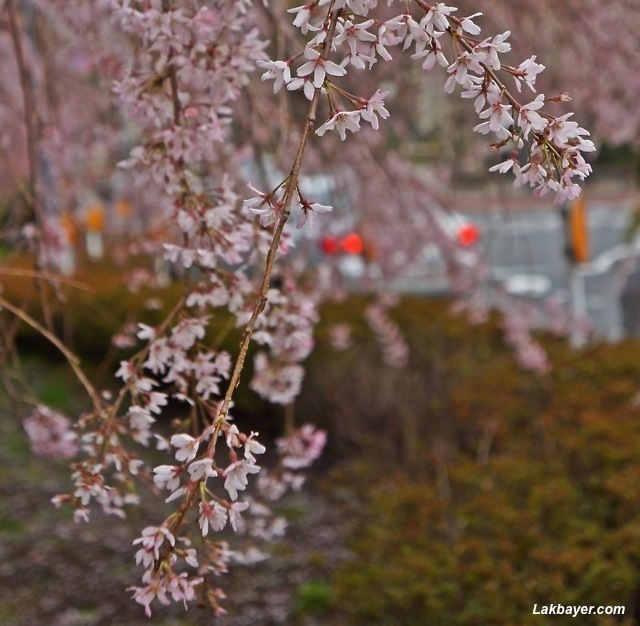 When do cherry trees bloom? The blooming time for the cherry trees generally depends on the weather – the milder the climate, the earlier the blossom begins. 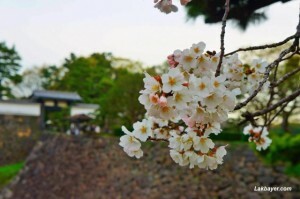 Cherry trees start blooming as early as January in Okinawa, which is located in southern Japan, with temperature falling usually on daily highs which is around 20°C. 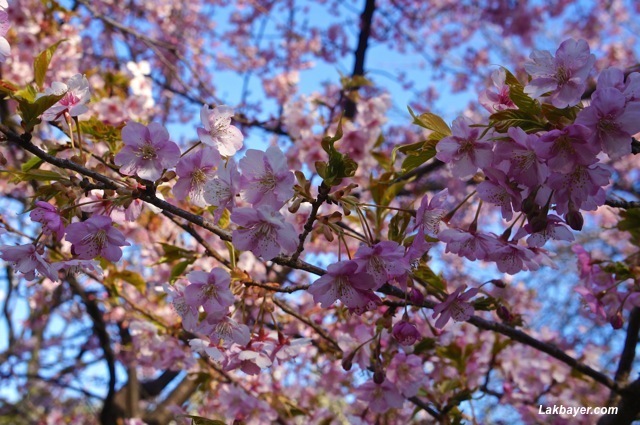 In Hokkaido however, cherry blossom start as late as May when temperature starts getting warmer and ranges from 7 to 17°C. 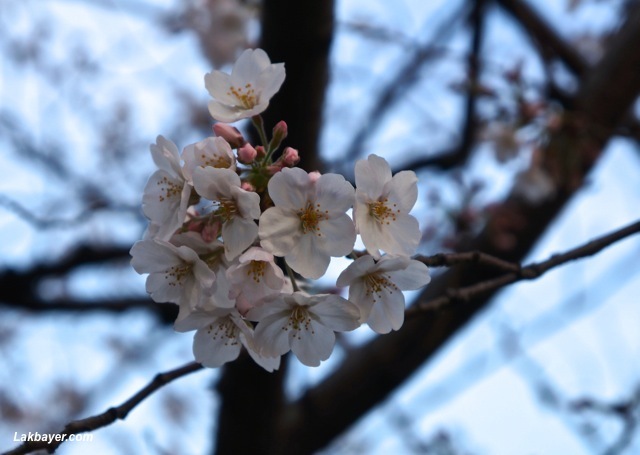 In most major cities in Japan like Tokyo, Kyoto and Osaka, cherry blossom season usually starts around late March to early April when the weather start falling at around 6 to 18°C. How long do cherry blooms last? A cherry blossom can last around 14 days with average temperatures and gentle rainfall or generally, when there is a pleasant spring weather. 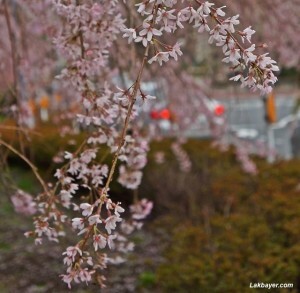 Rain can cut the bloom short or excessive heat can rush the cherry’s blooming period. What are the different varieties of cherry trees? There is a wide variety of cherry blossoms in Japan, with over 200 cultivars, most of which have arisen in cultivation over the centuries for decorative use in gardens and parks. Cherry blossoms can be differentiated through the number of petals, colors of the blossoms, fresh leaves, form of the tree, and time of blooming. By far the most abundant cherry tree variety in Japan. The trees look nearly white from the top as its 5-petaled flowers are shaded in the palest pink, almost white. They bloom and usually fall within a week, before the leaves come out. A kind that grows into a big tree with the trunk with whitish baby pink 5-petaled and relatively small flowers. It grows wildly in nature and its fresh leaves develop at the same time as the blossoms. This kind blooms in early spring and characterised by large and pink flowers. This type of cherry is named after Kawazu Town on the Izu Peninsula, where the tree variety was originally cultivated. Also known as weeping cherry, the flowers of this variety bloom on drooping branches. 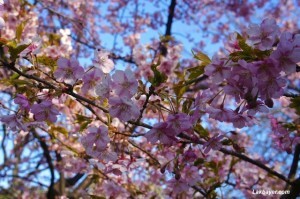 It is among the most common and beloved cherry trees in Japan. Another type of weeping cherry with blossoms of more than five petals and bloom about a week later than the Shidarezakura. Where are Tokyo’s popular cherry blossom spots? Located in Koishikawa, Bunkyō, adjacent to Tokyo Dome City, the park is one of the surviving gardens from the Edo period. It is also one of Tokyo’s oldest and best preserved Japanese garden. 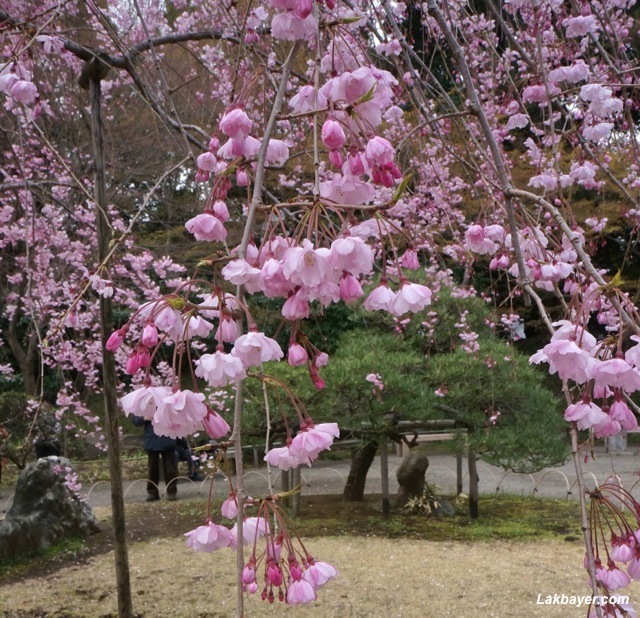 The cherry trees near the pond and Maroya area are some of the best sakura spots and the garden entrance also features several weeping cherry trees. A park located at the North-Western section of the moat surrounding the Imperial Palace. The path towards the boat pier is covered with the blossoms of over a hundred cherry trees which are lit up at night during the cherry blossom season. Rowing boats are also available for rent for ¥800 per half hour for visitors who wish to experience watching the flowers from the water surface. This park was formerly the northern fortress of Edo castle and is part of the Imperial Palace Outer Gardens. It has a range of species of trees that include evergreens, deciduous and flowering types. 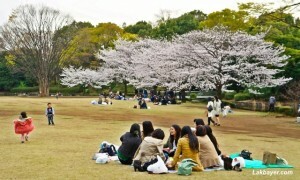 Numerous cherry trees also surrounds the lawn area which makes this part of the park a great hanami spot. The Science Museum and the Nippon Budokan are also located within the park whilst the National Museum of Modern Art is located next to it. 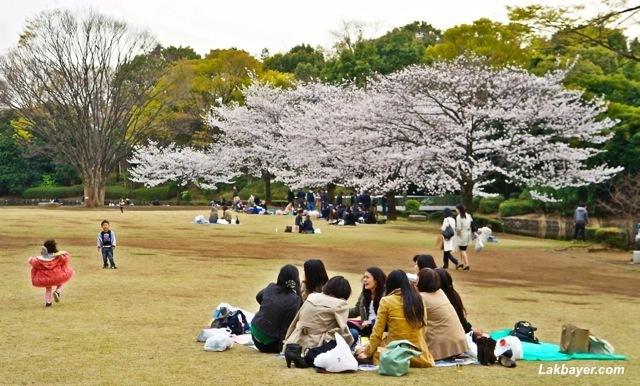 A park at the heart of the busy city, Shinjuku Gyoen is located a short 1.2 kilometer walk from Shinjuku Station. It is one of the largest and most popular park in Tokyo. 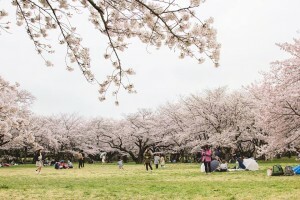 It has more than one thousand cherry trees of different varieties, with both the early and late blooming sakura trees, which makes it an ideal destination for visitors as well as hanami enthusiasts. 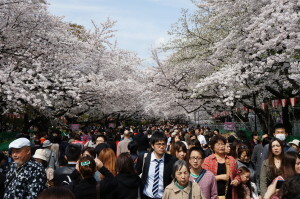 A park located 400 meters from Ueno Station and one of the most crowded cherry blossom spot in Japan. 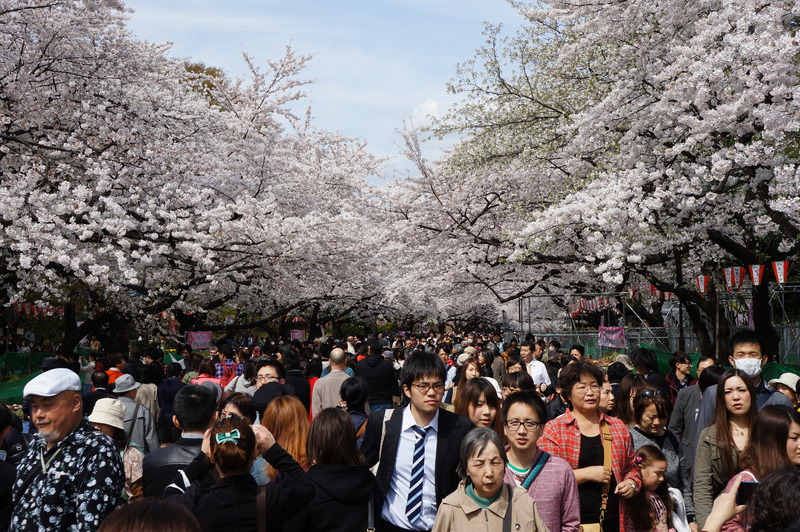 It features a canopy of more than 1,000 cherry trees along the street leading towards a large open area near the park’s museums. 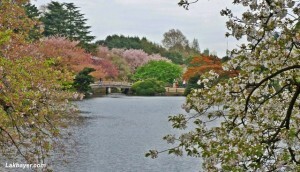 Numerous cherry trees can also be found in the walkway of the Shinobazu Pond. 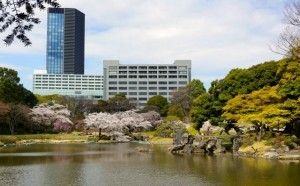 One of the largest park in Tokyo with about 180 hectares of land. The park boast a wide range of facilities including sports area, barbecue garden, pool and water park, cycling tracks, spacious lawns, wooded areas, and seasonal flower gardens. 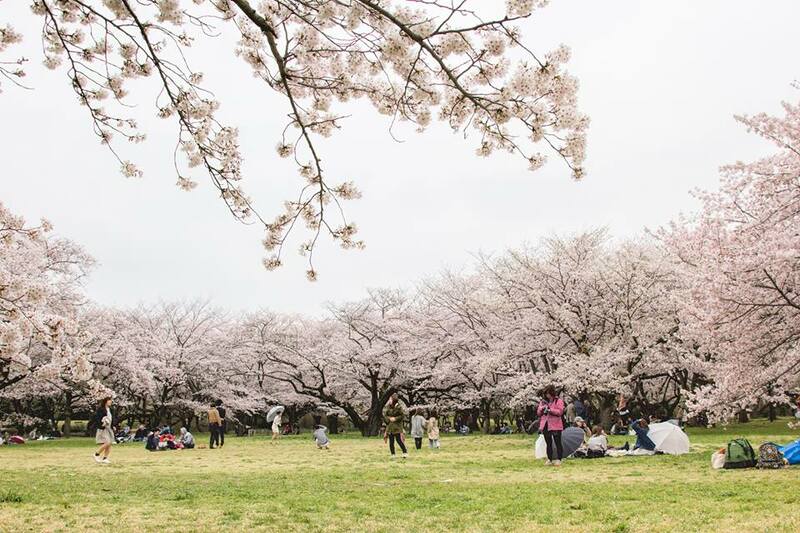 The park also has 1,500 cherry trees that are frequent by visitors during the sakura season as it is a perfect location for hanami parties. I love cherry.I’d like to visit in Japan. The cherry blossom / sakura in Japan is indeed very pretty and is really quite an experience. Hope you can visit Japan. Do let us know if you need help or information on the places you want to visit. Would there be still be cherry blossoms in mid May 2016 in Bunkyo, Tokyo ? 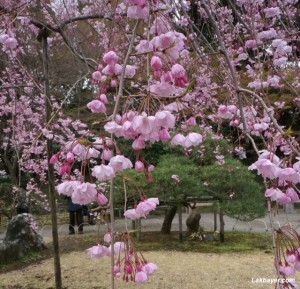 The cherry trees in the parks in Bunkyo, Tokyo usually blooms late March to early April. Unfortunately not all parks in the area have late blooming sakuras. If you intend to visit during May, you might want to check Shinjuku Gyoen instead. They may still have late blooming cherry trees during that time. Hope this helps. I would like to visit Okinawa at the end of Feb. Will I seill be able to see cherry blossoms this year?